Make a Professional Website in Minutes! Plans to fit every need! The number of individual pages you can create in the SiteBuilder. The amount of storage available for SiteBuilder assets. The number of email addresses you can create using your own domain such as you@yoursite.com. Change the complete look of your site with one click. Hundreds of options! Full access to cPanel including file manager, FTP and more. Enhance your site with CloudFlare's global content delivery network. Our railgun optimizer means it will be even faster! Easily submit your sites to Google, Bing and Yahoo without the fuss. Let your visitors find your site quickly. Use your own domain name or register a new one for yourself, your organization, your business or whatever! Breeze through form creation to put a professional, clean form on your website. Spread your brand throughout Facebook, Twitter and Google+ easily including Facebook commenting. Ranking tips, sitemap manager, keyword analysis and more - all at your fingertips. Domain name registration is included free with these plans. Instantly make a version of your creation for viewing on iPhone, Android and BlackBerry devices. Easily publish your site to your Facebook business page to grow and engage your visitors through social media. Over 3000 royalty-free professional images to use directly on your website available right in the editor. Are you a style pro? Use your own CSS to further expand the templates provided or make your own style from scratch. ORDER MONTHLY ORDER YEARLY Try it Free! (No Credit Card Required!) ORDER MONTHLY ORDER YEARLY Try it Free! 5 pages including images, favicon, contact form, visitor statistics, and much more. A search-engine friendly design for easier access online, plus search engine submission to Google, Bing and Yahoo! An easy to use editor so you can make changes or updates to your web site at any time. 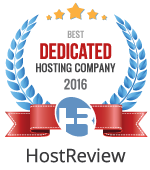 Includes a FREE Domain Name and Full Year of Unlimited Hosting. Ready to get started? Ask Us How. No experience required! Make your free website with easy drag & drop functionality. Everything you need is at your fingertips. Expand your reach by publishing your website to mobile phones and Facebook. Edit in one place, and publish everywhere. All SiteBuilder packages come with site statistics. See how many people are coming to your site and watch your business grow! Start with a free trial, and select the exact package you need as your business grows. Upgrade any time! Establish an eCommerce store with your own products, pricing, images and more. Make sales to countries around the world! GlowHost's award-winning support is available 24/7 to assist you as you make your website and expand your online presence. The sitebuilder allows customization from drag and drop to fully coded sites including CSS. Easy for all levels of experience. The premium plan and up includes one-click publishing to social media outlets. Put your site right in front of your followers. Create beautiful websites with or without code! Your legal last name / surname. Please enter your last name / Surname. A valid email address. Without this you won't receive your password. Your trial subdomain where you can view your site on the web. Example: mybusiness.glowbuilder.com. Your trial subdomain name should be between 3 and 20 characters.